San Diego 2012: "The best chicken soup in town"
"The best chicken soup in town"
Chicken Soup In Town!" and they were not exaggerating! 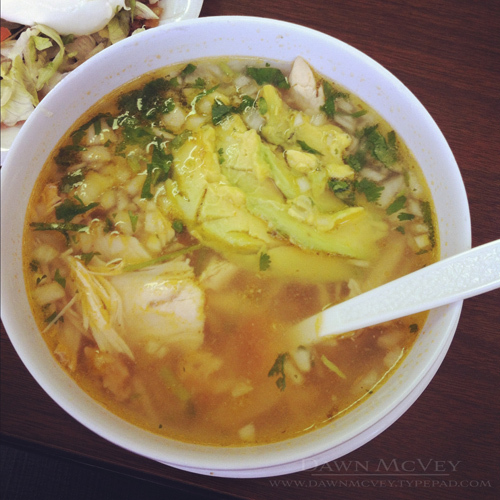 I wouldn't normally think "chicken soup" when I'm thinking Mexican food, but their chicken soup was possibly the best I've ever had!! And it was cheap too!